European regulators are preparing what could be a stern challenge to Google’s mobile software business in the coming months after a nearly four-year investigation into the company’s web search practices left rivals and European politicians dissatisfied. Two sources with direct knowledge of the matter said that with a new antitrust chief taking over in November, European regulators are laying the groundwork for a case centered on whether Google abuses the 80% market share of its Android mobile operating system to promote services from maps to search. In one questionnaire seen by Reuters, respondents were asked whether there was a requirement set by Google, written or unwritten, that they not pre-install apps, products or services on mobile devices that compete with Google software like its search engine, app store and maps. Companies must provide emails, faxes, letters, notes from phone calls and meetings, and presentations stretching as far back as 2007 related to such deals with Google, suggesting the European Commission wants to know if Google’s behavior has been long-term. Respondents have been given until early September to reply to more than 40 questions. While any company is free to use the open-source Android as they choose, mobile handset makers that want to use the newest version must sign a contract that stipulates a minimum number of Google services be pre-installed on devices, according to a third source, a former Google executive with knowledge of the matter. The impending Android inquiry adds to a growing list of regulatory challenges that complicate the internet company’s ambitions in a vital market. Europe accounted for more than $30 billion in digital advertising spending in 2013. The European Commission is likely to start a formal probe into Android once it wraps up an investigation into whether Google ranks its own services higher than those of its rivals in search results, according to the two people with knowledge of the matter. One of the sources said going after Android would help stem a growing chorus of complaints. Google struck a deal with Joaquín Almunia in February by agreeing to display rivals’ links more prominently, but the preliminary settlement was criticized as inadequate by rivals such as Microsoft Corp, US consumer review site Yelp Inc and German and Spanish publishers, as well as some European politicians. The outgoing European Commission antitrust chief may decide to open a second case against Google at the same time he announces the closing of the first, the source said. “It’s a political game. Can Almunia afford not to bring a case? He has to bring a case,” the source said. Google faces criticism in Europe about everything from privacy to tax policies, and is wrestling with a European court’s ruling that requires it to remove links from search results that individuals find objectionable. Android’s 80% market share is at a level akin to Microsoft’s Windows, itself the target of a long-running European investigation. At the same time, the company has grown so large as to inspire distrust in some corners, with a chorus of public criticism from politicians and business executives. Mathias Dopfner, the chief executive of German publisher Axel Springer said he was “afraid” of Google in an April open letter published in German newspaper Frankfurter Allgemeine Zeitung. Axel Springer is a member of the Open Internet Project, which has submitted a complaint against Google to the EC. The search investigation is not a done deal, with the Commission having indicated it may seek more concessions from Google before making a final decision in September. But the real fight may be shifting to mobile. Android represents a crucial channel for Google to extend its search engine into the mobile world. Regulatory action that impedes Google’s ability put search front-and-center within Android could threaten its primary money-making service. Handset makers such as Samsung and LG Electronics may also benefit by being freer to pre-install or alternative online services on devices. That may in turn grant better shop-window placement to rival services from Microsoft and Yahoo. “Since Android’s introduction, greater competition in the smartphone market has given consumers more and better choices. Both the U.S. FTC and Korean Fair Trade Commission have examined Google’s agreements around Android in depth and concluded that there was no cause for legal concern,” the spokeswoman said. But the questionnaires sent to telecoms operators and handset makers using Android suggest that the European regulators are looking for evidence to build its case. Another question asked for examples of major commercial difficulties faced by app stores competing with Google Play. The watchdog also asked for details of revenue-sharing with Google. Much will depend on Almunia’s successor. The 66-year-old Spaniard, whose term as antitrust chief ends in October, has fueled a growing feeling within the Commission that he may have been too soft on Google. The incoming head may decide to take a tougher line following criticism in recent months from French and German ministers as well as European lawmakers. Mindful of the Commission’s power to impose multi-billion euro fines and the distraction of a drawn-out regulatory battle that could hurt the corporate image, Google will likely seek a quick end to any Android probe, said Andreas Kafetzopoulos, a lawyer at Dechert, whose practice focuses on European competition law. “In fast-moving technology markets, protracted adversarial antitrust proceedings rarely benefit anyone. Settlement would again be the most likely outcome of a new Google case,” Kafetzopoulos said. 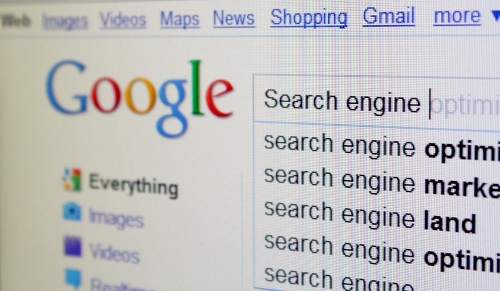 In November 2010, the European Commission opened an investigation into Google’s activities in the EU market for internet search, after complaints by rivals that its dominant position was in breach of fair competition and antitrust regulations. The Commission negotiated a “commitment decision” with Google (also called “Article 9 decision”), demanding concessions and testing those concessions in market tests and questionnaires involving rival companies. Such a deal must be confirmed by all 28 EU commissioners. After two unsuccessful bids by Google, the Commission accepted the third proposal of concessions, thus avoiding a legal spat under the Article 7 procedure. The latter would have lasted for years and potentially lead to a fine on previous breaches of antitrust regulation. Such a fine is set at a maximum of 10% of a company’s one-year revenue on EU-based activities. European regulators are preparing what could be a stern challenge to Google's mobile software business in the coming months after a nearly four-year investigation into the company's web search practices left rivals and European politicians dissatisfied. Is this clown real? why would anyone want to break up a free service like Google? They are able to innovate on a scale the EU can only dream with Envy about because that is exactly what is in play here with the EU, pure Green Envy. Google have made the world a far better place than the EU commission ever has ever done or will. If the EU wants to innovate competitors to US digital services it needs to create a base where it is the best place in the world to do such business & facilitate an atmosphere were ideas can be generated & translated into wealth creating enterprise.